As my girls get older they are becoming more aware of what they wear and are gradually creating their own style rather than relying on me to pick out their clothes. They're certainly gaining an eye for fashion as I am always catching them drawing their own clothing designs. 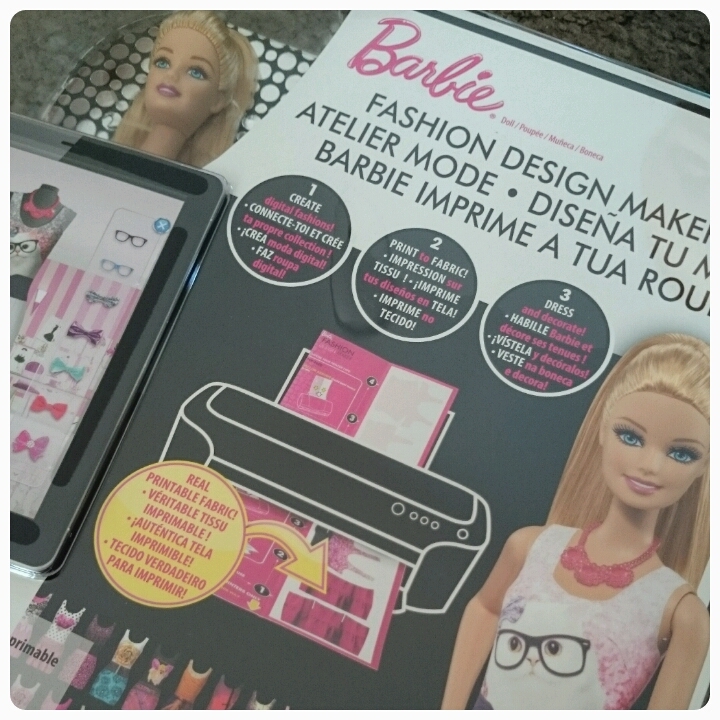 We were recently sent a toy which was just perfect for my eldest two daughters, the Barbie Fashion Design Maker. This is Barbie with a twist. This doll doesn't come with any clothes, oh no. 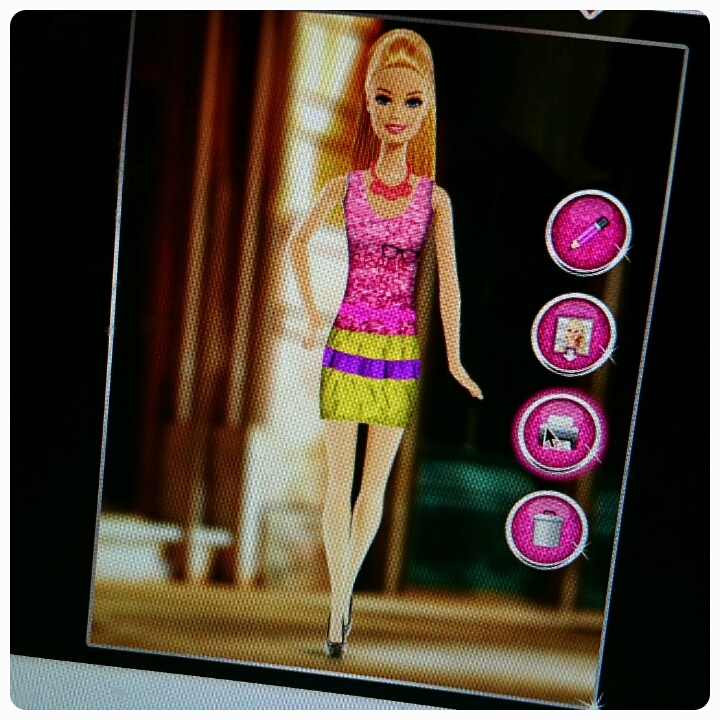 Instead it comes complete with printable fabric and accessories ready for you to create your very own clothing line for Barbie using the app which can be found both on the computer and on tablets/iPad. 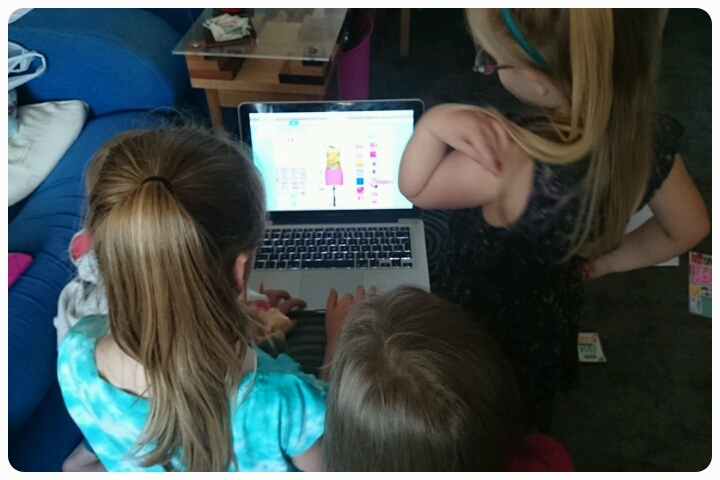 The styles that your child creates online can then be saved and/or printed out. 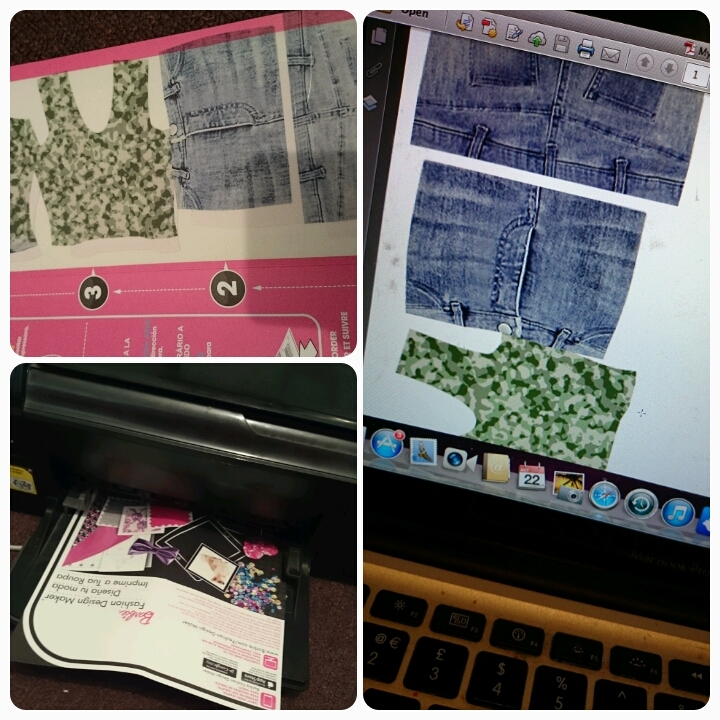 Once printed you can stick your designs straight onto Barbie or save them in the included portfolio bag. 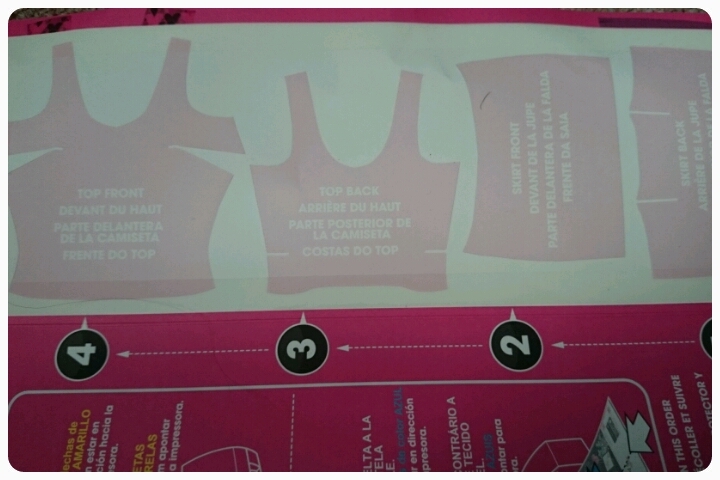 Each fabric design that you print out are actually reusable stickers, this means Barbie can have a new look on a daily basis. There are also refill packs available if your budding designer happens to run out of paper and accessories. Sticking the clothes on can be a little fiddly but we found that it didn't matter if the stickers weren't placed smoothly as it just gave the clothes a wrinkled effect. The process from start to finish is fairly simple. Even my 4 year old was joining in picking out different looks. The instructions both online and in the paper leaflet you get are very clear and easy to follow. There were however a few little niggles that I found. Barbie herself isn't the same as the usual doll. Her arms are still posable but her legs aren't, this was something my youngest daughters didn't quite understand. It would have been nice to perhaps be able to bend her legs from the knees down so that she could be seated as well as standing. The other problem I had was with the printing process itself. To print your design you first need to save it. For some reason this function wouldn't work in Safari but I eventually got it to save in Chrome. When I finally managed to print the design, it didn't quite print straight, however I feel this may be something to do with my printer alignment but I felt I should still mention it. 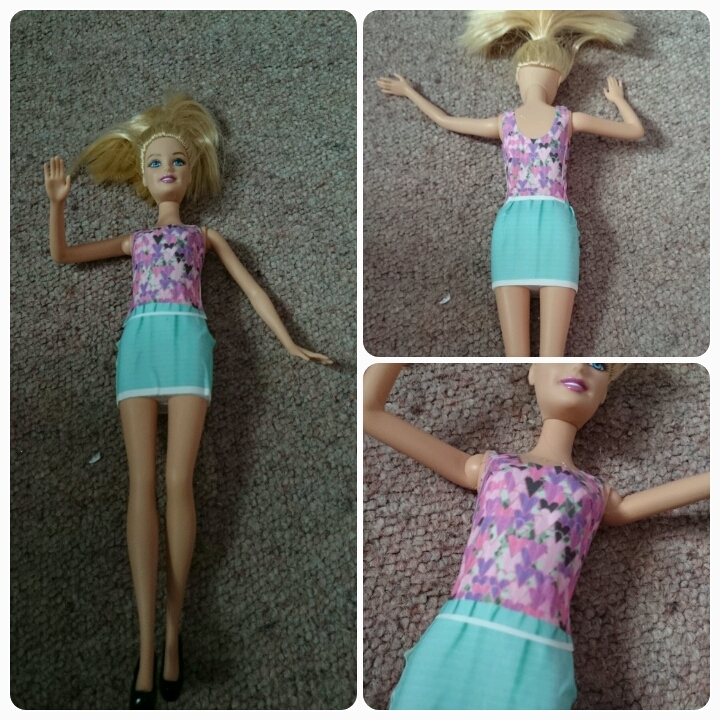 Overall with a RRP of £49.99 , I can see the Barbie Fashion Design Maker doll being hugely popular this Christmas. The concept is bit different from the norm and I think it shows that Barbie is moving with the times adding a bit of technology to play time. Gosh this all sounds a bit high-tech for a Babie! Like you say its a good way of including new technology into play and I know I spent hours designed clothes as a child so I'm sure I'd love it!